Gibson Marwa on duty gathering spatial data. Marwa said when he started his career he never dreamed of heading to Namibia where, one day, he will own his own land surveying company. 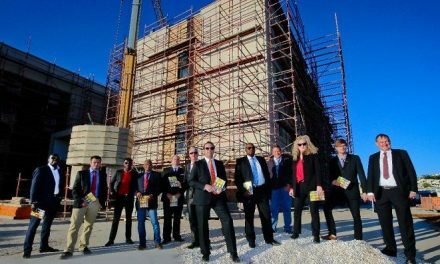 A surveyor, trained in Zimbabwe, found his niche in life when opportunity brought him to Namibia where he founded a small surveying company. Thirteen years later, the company regularly works on large projects helping with surveying mines, roads, construction sites, and other infrastructure projects. G. Marwa Land Surveyors is a surveying company that provides innovative solutions to users of geophysical and metadata information. 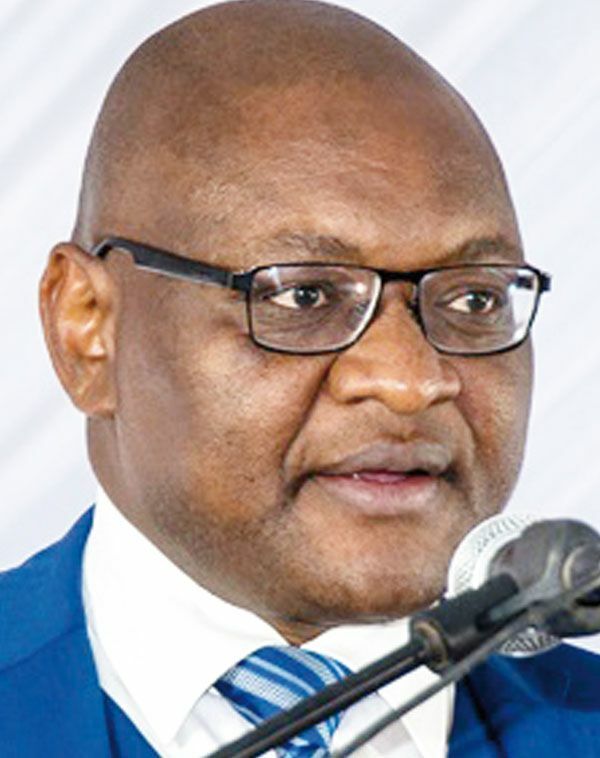 The company is owned by Gibson Marwa, the holder of an honours degree in land surveying from the University of Zimbabwe. 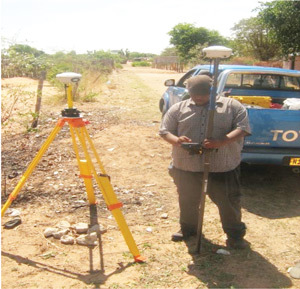 He started his career with GeoScan in Zimbabwe in 1999. G. Marwa Land Surveyors provides services such as topographical mapping, engineering and mine surveying, deformation monitoring, industrial surveying, hydrographic surveying, and Training and Consulting. “In June 2002, I moved to Namibia where I started out with several survey companies like Volkmann Land Surveyors,” he stated. Gibson is an expert in Geodetic Control Surveys using GPS. He is experienced in the use of different equipment and software and has worked in various parts of Namibia. He plays the important role of providing valuable knowledge to the rest of his survey team of six as their mentor. The company is currently involved in two main road building projects. “Our main duty is to oversee control and conduct a digital terrain model for smooth operations. One of the project is going to run for about five years,” he said.